Description: Perfect for anyone who loves to spend the day fishing! 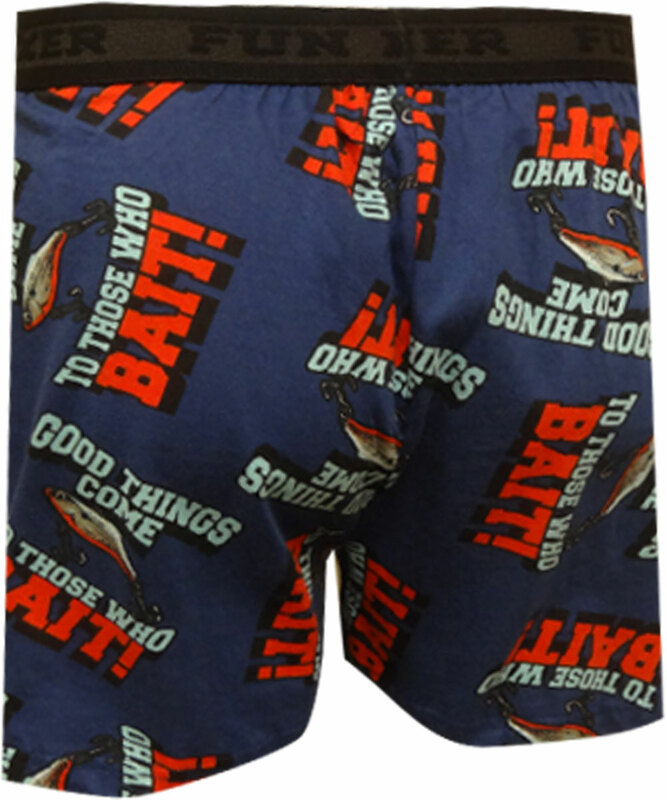 These boxers for men feature an all over pattern fish pattern and the phrase 'Good Things Come To Those Who Bait'. 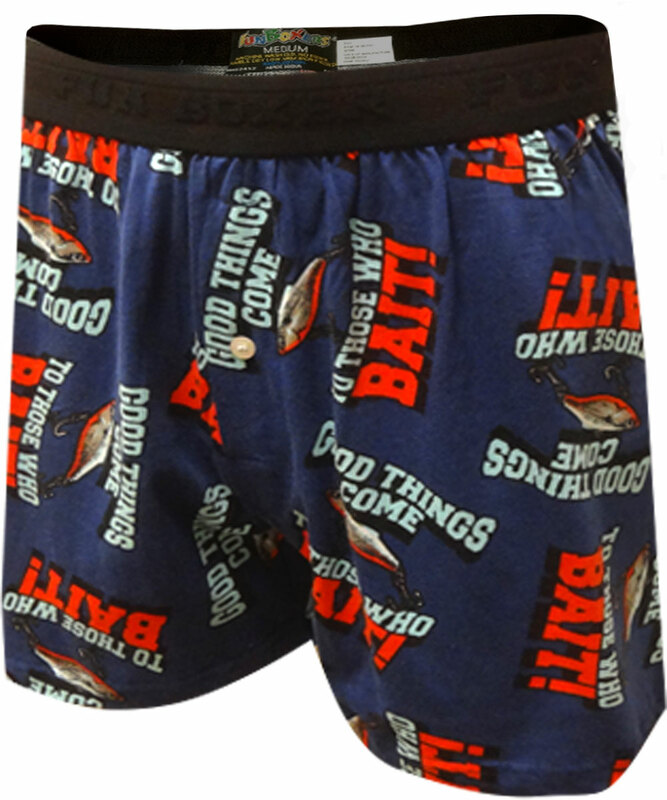 They are soft 100% cotton knit with a button fly. Machine wash.